Eat what you love and love how you look! Let the girls show you how it's done. If your two favorite girlfriends wrote a hilarious, insightful book about how to look and feel fabulous without denying yourself the pleasure of great food, it would look just like this! 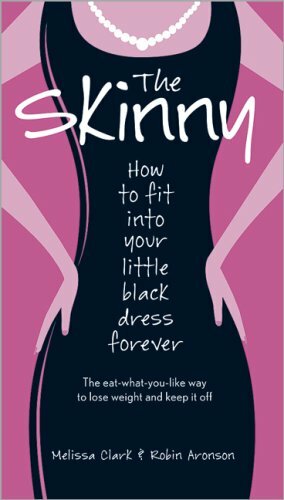 The authors bring their unique perspectives (girl-about-town and mother of twins) to show how, whatever your lifestyle, you can balance eating smart and eating rich, and still look amazing in that little black dress. No strict rules, no boring talk about glycemic index, just savvy advice, complete meal plans, and more than 75 amazing recipes, plus an emergencies-only The Little Black Dress Diet-how to eat when you absolutely must fit into your dress by the weekend.